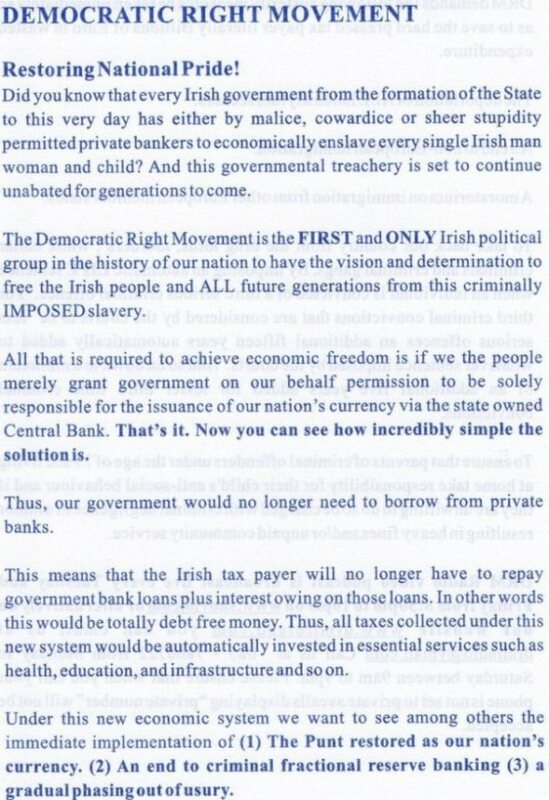 A leaflet from The Democratic Right Movement (DRM) .The Democratic Right Movement are Ireland’s right wing Nationalist movement. (1) The punt restored as our Nations currency. (2) An End to criminal fractional reserve banking. Amongst other things they also want “the deportation of ALL failed asylum seekers” and “An end to non-European immigration”.